It’s that time again folks! Crawlspace Season! Save up to 25% on your Energy Bill Today! How water gets in your basement and what to do to fix it? Basement leaks are common and happen when grounds around the foundation become overly saturated. Gravity pulls rain and surface water down into the soil around your home. 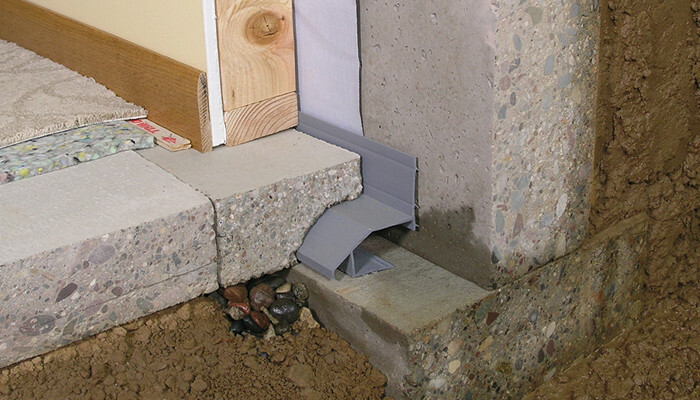 Concrete and foundation walls absorb the water thus leading to a wet or damp basement. This is most commonly known as hydrostatic pressure. Most homes are built with an exterior system. This includes placing a pipe and gravel system around the base of the foundation collecting rain and surface water at the footer. The footer is the lowest level of your home that foundation walls rest on. These systems become clogged over time and cause a large amount of water to build up around the foundation. 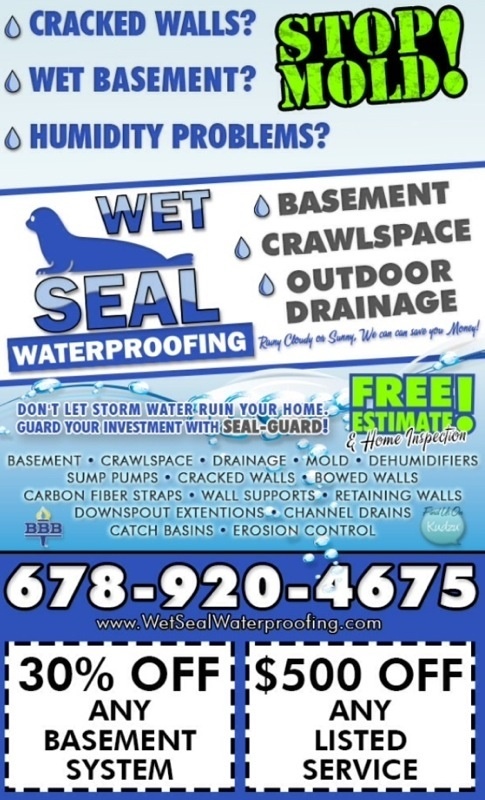 The most effective way to preventing water intrusion is done by placing an interior waterproofing system. This is done by cutting a trough for water to be collected around the base of the perimeter. This way water penetration can be collected, absorbed and tunneled into an unground waterproofing system. This subfloor system carries water to exterior drainage line thus keeping your basement dry and mold free. Once our representative arrives at your home we will go over and inspect your homes foundation and potential problem areas. You are your homes best advocate so although collecting dada is important, it is also important for the homeowner to know problem areas before our technician arrives. This will not give for a better solution but cut cost during the final estimate proposed. 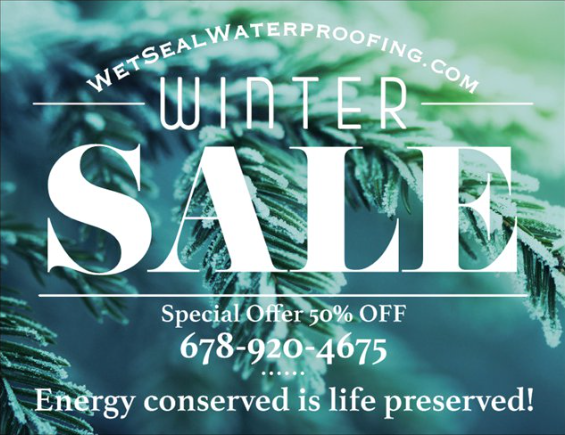 If we are unable to locate where your water intrusion is coming from as with all competitors we will suggest a full perimeter drain system. Systems are charged by the foot so as you could imagine knowing the source of the intrusion is key before the technician arrives. Nine out of ten times it most likely won’t be raining at the time of your inspection. All data collected is an educated guess based on water staining and outdoor grade levels etc. The Job design is based on our experience as professionals as well as the owners experience in the home. Once an inspection has taken place the representative will then take measurements based on system length, labor, and time it takes to install and which materials will be used. Foundations differ from home to home which differ from systems to be installed. This is why over the phone assessments can be difficult to determine without seeing the job first hand. Different foundations whether it be a monolithic slab or foundation footing could be the difference in man hours, material and job cost, but no worries. Finding out which solution is more suitable for you and your homes situation is determined my the evaluator. Other factors also come into play when deciding solutions for waterproofing. Some would prefer an exterior waterproofing system be installed over an interior system. For starters the technician must decide if an exterior system is even possible to carry out. Questions of this procedure would be, What’s the grade level like to make plans for executing an exterior system? How deep will the excavation be to install the system? Is the process even possible? Are there decks, AC units or other objects in the way preventing an exterior system? Another factor is cost. Since we all charge by the foot. How much more will it cost us to remove lets say 12 feet of dirt in depth verses cutting a one foot depth in the slab from the inside. In all reality both interior waterproofing systems work other wise we wouldn’t install them but which one works more effectively and last long term. Here’s the answer to that question. Exterior systems are limited to warranty. After excavation sealant is applied to the foundation wall and a drain pipe is installed at the footing. The footing is the lowest point of the foundation where the water needs to flow from. Gravel is then added for filtration. Next would be connecting a gravity discharge line, that can carry the water away from the homes foundation. The final step is backfilling and tamping all the soil that was excavated in the beginning, and the system is complete. So why is this limited to warranty. The last step says it all. The system is buried thus leading for after an extended period of time mud or silt to clog the drain pipe. Exterior systems usually carry a life span of 5 to 10 years. The ideal permanent waterproofing system is an interior system. 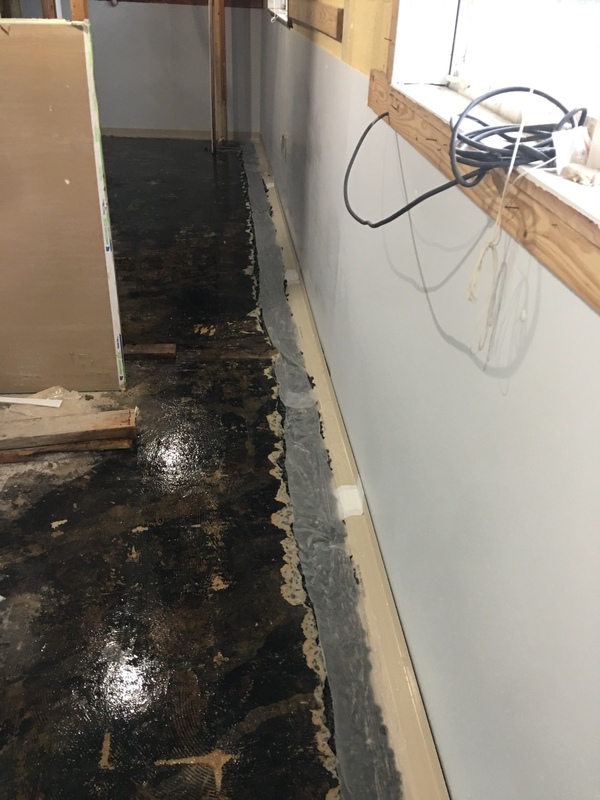 Interior waterproofing systems are designed to fit below the slab catching water from the wall and under the slab. 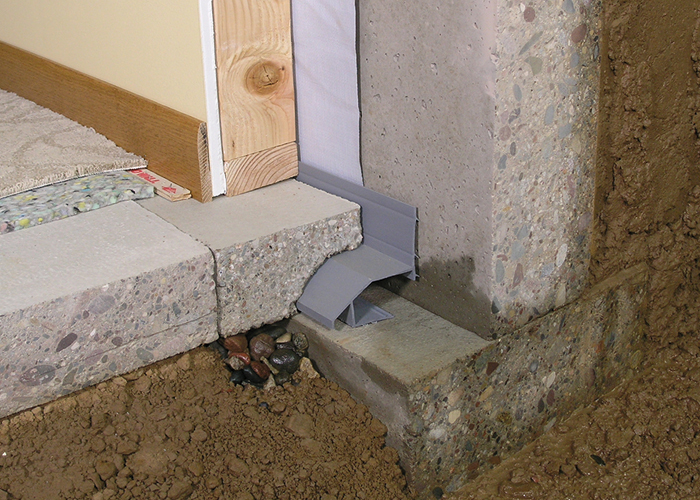 When placed inside on the footing the water being absorbed in the channel or behind the walls vapor barrier are filtered through the walls concrete foundation. Therefore leaving for a permanent in penetrable system. This means no clogging will ever take place and the system will work forever. This is how we are able to offer a life time guarantee with all interior waterproofing systems. Now we do get from time to time a customer who refuses to tear out his newly completed basement and prefers an exterior system. 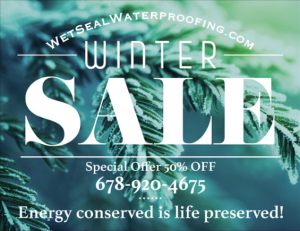 The weighing factor here would be cost to install an exterior system, then to replace the tear out once the waterproofing system has been installed in your basement. In most cases removing finished walls and replacing them aren’t as costly to do so and your new system is warranted for the life of structure. The ideal system is an interior system. Call for your free in home evaluation today! Our pressure free evaluation will give you peace of mind and comfort knowing what it will take to fix your basement or crawlspace water intrusion. 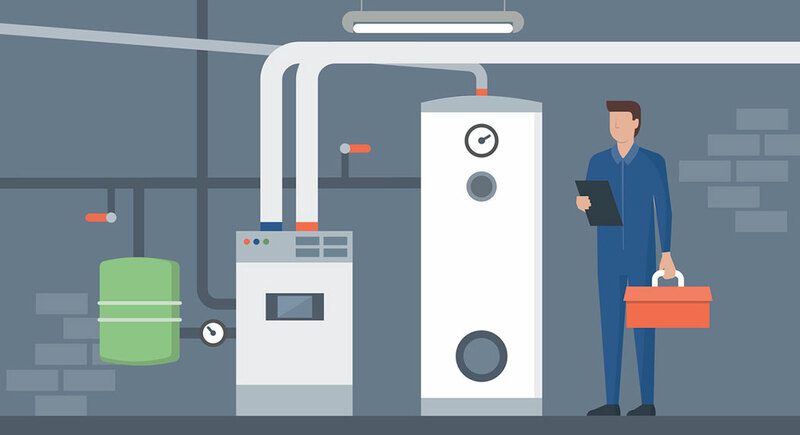 We leave you with not only knowledge of how we can fix the problem but literature showing exactly what system will be installed and visual pictures of what it looks like and what to expect. We measure and explain every step of the process. We leave you with examples and brochures. We then email you an estimate later the same day then give you time to think about what you want to do. After all its your home and you need to be comfortable with the contractor you hire. Here at Wet Seal we strive to be honest and informative. We don’t use scare tactics and upselling. Be leery of pushy sales men flashy trucks and brochures. Also big box companies with funny commercials and jazzy theme song radio commercials, bill boards etc. The costs of those ads as we all know are not cheap. So most likely the firm posting these ads aren’t going to be cheap either. 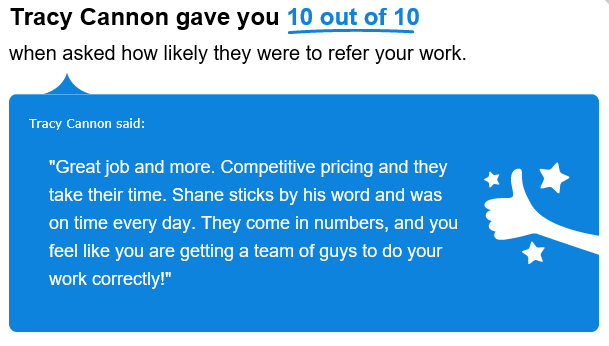 Not to say that when providing a service it does require a margin for profit. As a Wet Seal owner we aren’t here trying to get rich off your unwanted problems. We are just an honest company providing a useful service at affordable prices. Please give us a chance I assure you we won’t let you down. After being in the business 14 years we have seen it all and there isn’t a job we don’t have the solution for. Wet Seal is here to help when you need us. Winter is coming and those crawlspaces need to be sealed. 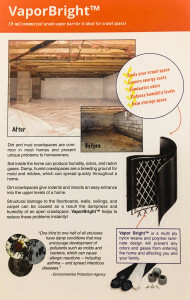 Closing vents and encapsulating your crawlspace helps keep frigid temperatures out in the winter. We do this by covering the walls and floor with 15-20 mil plastic. This also eliminates cold floors in the winter and lowers high humidity levels in the hot summers. Placing a dehumidifier once the vapor barrier is installed is another great way to keeping humidity levels down. A long time ago contractors thought it was a good idea to vent crawlspaces by cutting openings. Our studies have shown that this is worse for the area. 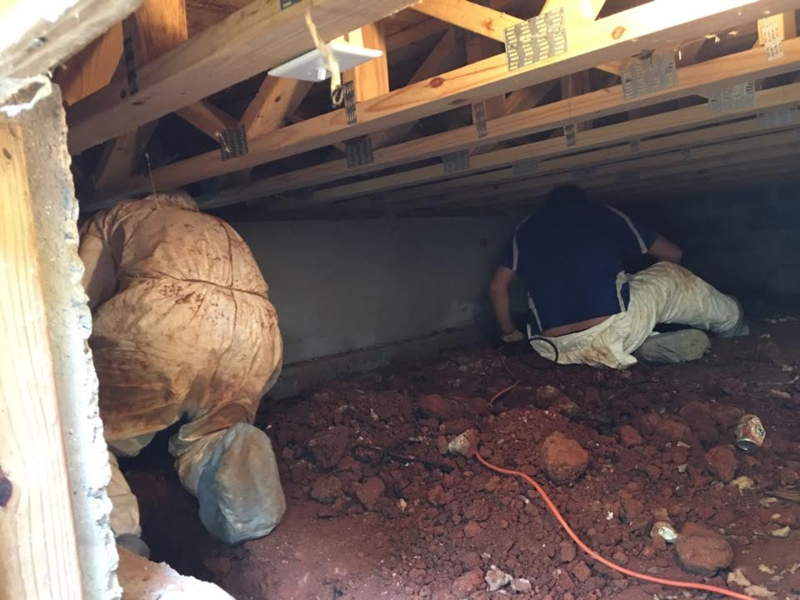 The combination of sealing the walls and floor, sealing all vents and placing a dehumidifier makes for an ideal crawlspace. We conduct a standard mold treatment to all our encapsulation systems. Once the area is dry most mold dies off due to lack of moisture. Adding this step will not only help kill existing mold but will keep it from coming back for years to come. In some cases a water proofing system may need to be added. This is determined prior to installing the encapsulation. 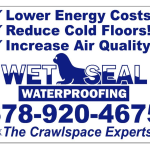 If you need help with your crawlspace, call the experts at Wet Seal Waterproofing. We would love to help! Do you have a brick Georgia Home? Here’s a helpful Wet Seal tip for homes with brick and poured wall foundations. 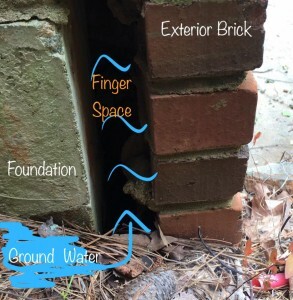 A lot of people don’t know this but between your homes exterior brick and foundation wall there is a void. The bricks do not touch the foundation wall. We call this void a finger-space. Water likes to travel between this void entering in from one area and traveling through the void. This means that just because your seeing water entering an area inside doesn’t mean it’s actually entering from the outside in the same area. Remedies for a water filled finger space are quite easy and usually treated with simple solutions that other companies don’t want you to know. 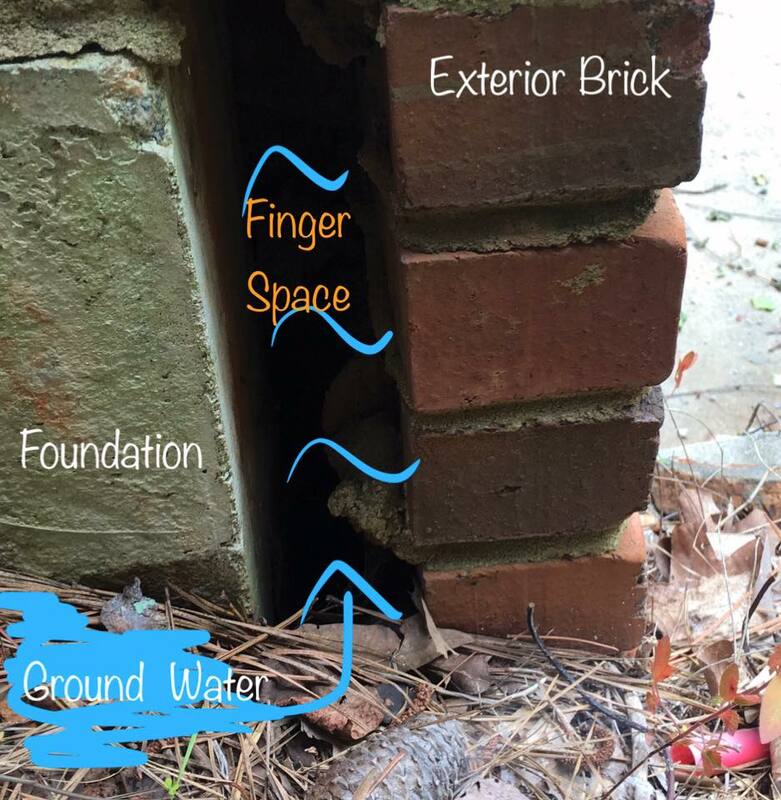 Punching a small hole in the lowest point of the brick from the outside and inserting a drainage pipe is a very simple and inexpensive trick that will redirect this water out of the finger space void and back outside. Clean air quality is key to keeping your family safe. A lot of people might say they do not care if their crawlspace or basement is wet because its not their main living space. But if your furnace is located in these areas you are breathing in the air that is stagnant form these areas. Having these areas free from moisture causing mold are very important for clean air quality in your home. Keep your family safe and breathing healthier. To prevent these spaces from growing harmful mold. These areas need to be dried and water free. To prevent introducing toxic allergies to you or your family members these areas must first be dry. 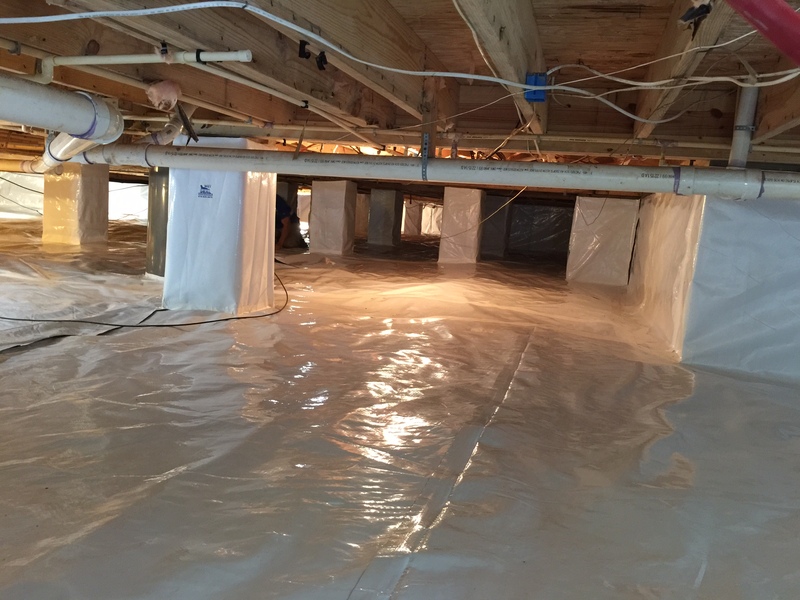 As soon as you notice moisture and water in your basement or crawlspace its extremely important to have these areas waterproofed. This can also cause high humidity levels as well, turning the stagnant water into humidity. If water issues are not exterminated as soon as noticed you could have or may already have mold. 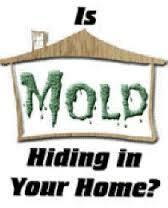 Mold is extremely harmful and can make anyone occupying the home very sick. The most common types of mold include aspergillus, cladosporium, stachybotrys atra (also known as black mold). 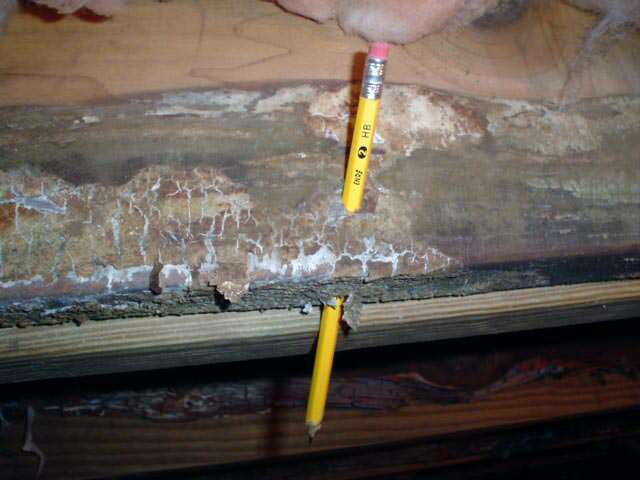 Usually the most common is the white fuzzy mold on soil and green mold on wood floor joists. Mold related symptoms can include sneezing, itchiness, skin irritation, watery or itchy eyes and headaches. The most common black mold symptoms and health effects are associated with a respiratory infection, coughing, sneezing, eye irritation, nose and through congestion, rashes, difficulty breathing, chronic fatigue and persistent headaches. These can all me symptoms of black mold exposure or poisoning. In more severe cases if left untreated can experience nausea, vomiting and bleeding in the lungs and nose. In lesser cases some may not even know they have exposure. You could feel tired and drowsy feeling sluggish and low energy. This is why it is very important to get water out of your home as soon as noticed. Procrastinating on these issues are very dangerous to you and your health. That is why we offer a bio fog mold treatment along with any waterproofing install. Because where there is standing water, there is mold. It is not only important to your health but to the installers as well. Treatments are usually given twice. Once before the water extraction begins and another once the install is complete. This two part process allows one treatment to kill off mold that is present in the air and the second treatment as a mold shield. This blocks and prevent any mold from coming back as long as the area stays dry. That is why it is very important to have these ares waterproofed. Once your new system has been installed, it is a good idea to have it routinely checked and tested. This will insure all components are working correctly and flushed to prevent clogging. Test ports are installed with every indoor sub-floor system. This allows us to adequately test systems after they are installed. 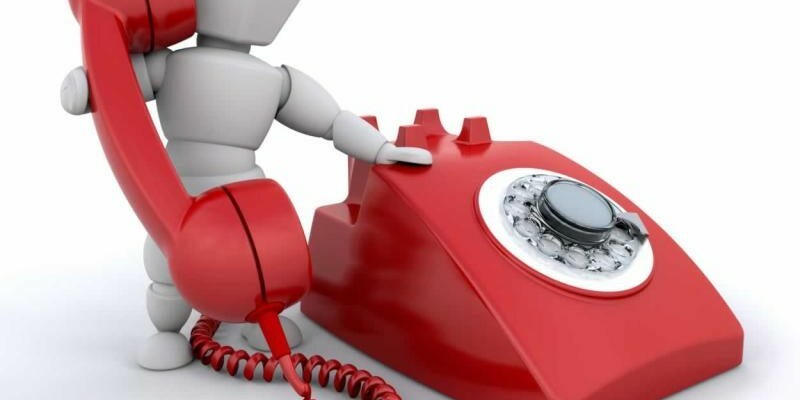 It is important to have a yearly service call preformed. This can be provided by us, or you as the homeowner, can test your system by simply removing the cap to the water port and running a water hose. This will insure your system is working. Pumps should engage or gravity lines will flush. Lawns-cape outlets and pop ups can be observed visually outside. You’ll know your system is working when water is exiting through these lines. Different things can happen, your pump can stop working. If you have a trench dug out for a drain, any number of things could damage your drain. If your drain becomes damaged or punctured then dirt and debris will get into it creating a clog. Roots can penetrate your exit line. This will back up your system. Repairs from other services could have disturbed your system unknowing and accidentally. As an example we revisited a customer in Buford Georgia and conduced a water test. I few short minutes and we found the system was backing up. It appeared that the the drain line outside was clogged. It turned out the customer had a new drive way installed a few weeks prior and in the event removed the drain line. A new drain line was installed and prevented much greater damage if the system had failed. You could have an area in your basement or crawlspace that wasn’t waterproofed or encaspulated. It would be a good idea to check the unprotected areas periodically. This will insure these areas haven’t been compromised. This could interfere with your previous work you had done. Once the system has been installed there are a checklist of items the homeowner is given of do’s and dont’s. One of them being absolutely no nails are to puncture the system during a build back. 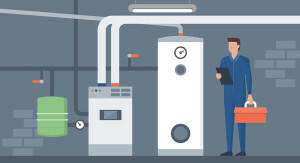 It is very important to have your yearly service call to check on any of these issues to make sure your home is safe and everything is running as it should. If systems are found inoperable check your warranty and call us to scheduled your annual service call. Its cold out! Lower Energy Costs! Open vents under your home are just one of many ways cold air can come in during the winter time. These vents should be sealed to eliminate outdoor air from entering your home through the crawlspace. 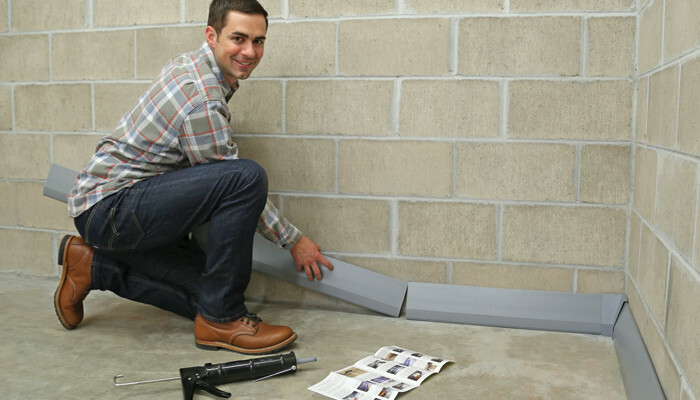 By sealing the vents you block out cold air and prevent cold floors under your homes foundation. Also sealing the vents keeps warm air out and high humidity out during the summer time. Raised humidity is wet air and this air increases the risk of growing mold. If mold is found it needs to be eliminated to stop the spread. This is done by removing or replacing all insulation. Then applying a mold blocker and preventative treatment to your homes crawlspace. 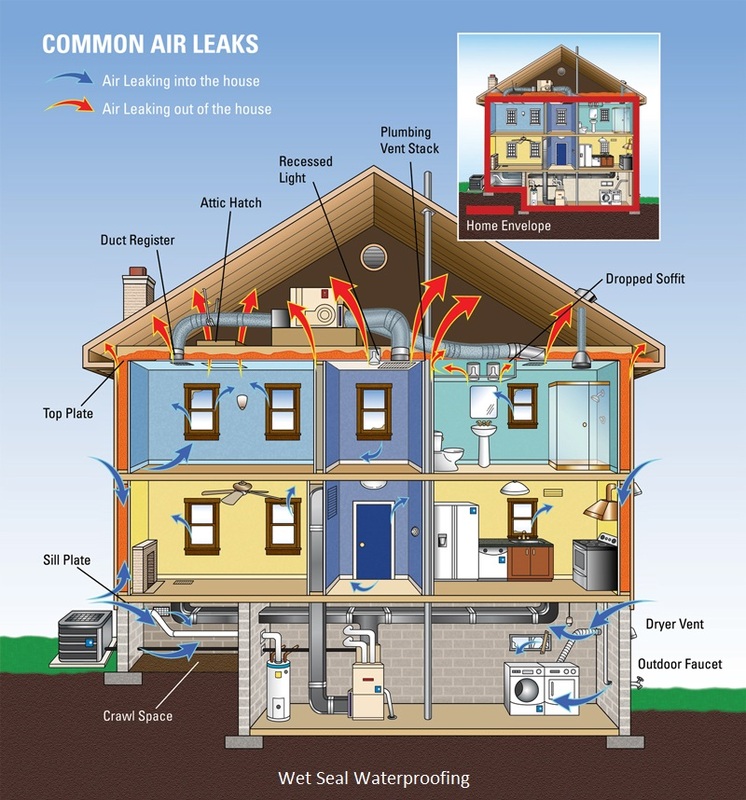 Cold air can also enter in from pipes and cracks though your homes foundation. These areas need to be sealed and can be done so a number of ways. Crawlspace walls and floors should be covered and sealed to keep your living space warm and insulated. The ground beneath your home can reach outdoor temperatures that will admit cold air to the under slab of your home. 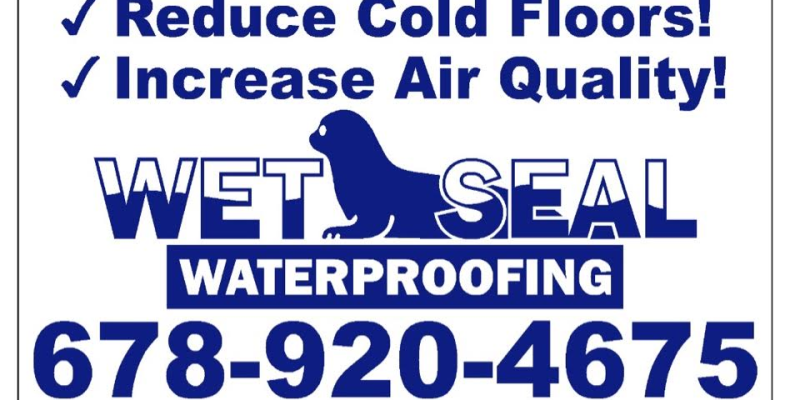 Sealing theses areas not only keeps the cold out but also holds back damp dirt, reduces soil gases and stops mold. Our antimicrobial liner is a double ply 20mil nylon treated plastic sheeting. It’s extremely durable. Its hung, pined and sealed together on the walls, floors and columns of the crawlspace. This procedure is called encapsulation or as some know as closed crawlspace. Before an encapsulation system is preformed, the crawlspace must be a good candidate to do so. The area must be inspected for any signs of water intrusion first. Visible discoloration or a white powdery film present on walls is one of many ways to determine if you have a water leak. These areas must be sealed or a water management system be installed before any encapsulations be applied. 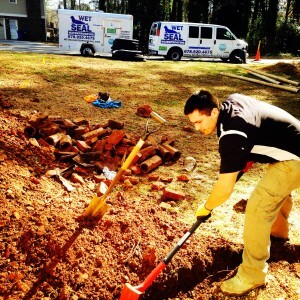 Installing an encapsulation system and knowing ground water leaks are present is a huge mistake. 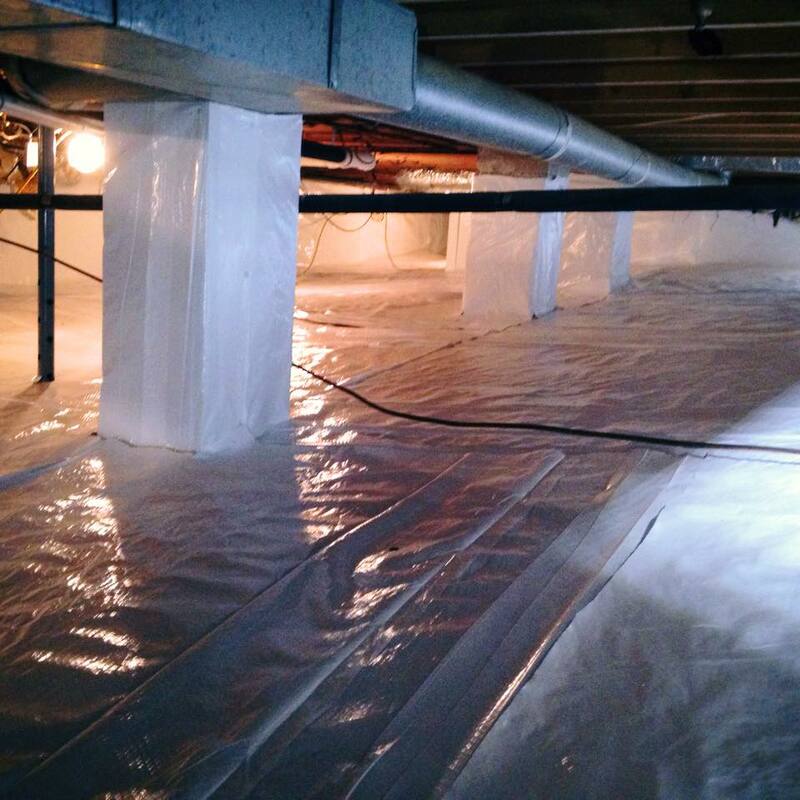 Although a closed crawlspace system will keep out moisture, it will not prevent or keep out large amounts of water. Water can and will find a way to penetrate seems in the plastic. Water could appear and pool on the plastic surface. This is why the crawlspace must be inspected for water intrusions first. The liner does not prevent or block ground water penetration without the combination of a water management system. 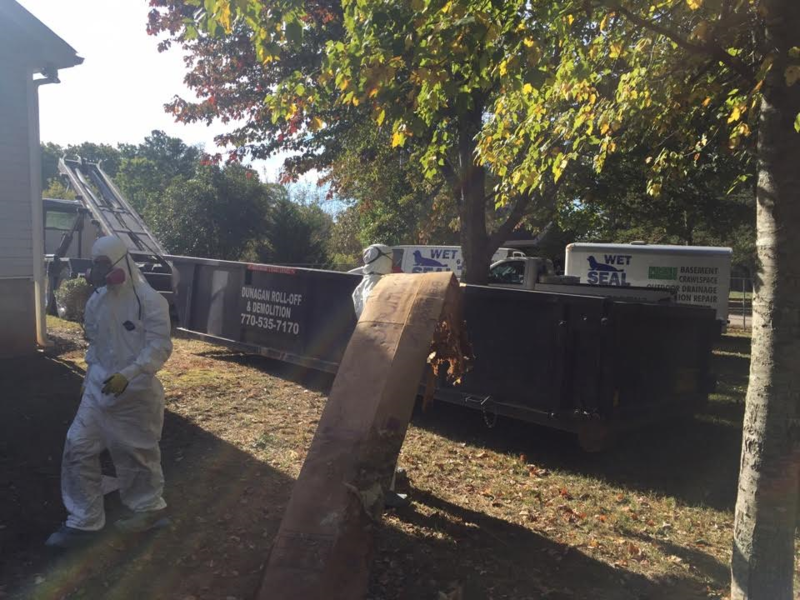 Some would think, “Well I’m not concerned with my crawlspace.” “I never go down there and my floors are sealed so I’m good.” Wrong. Most homes furnace’s are located in the crawlspace. 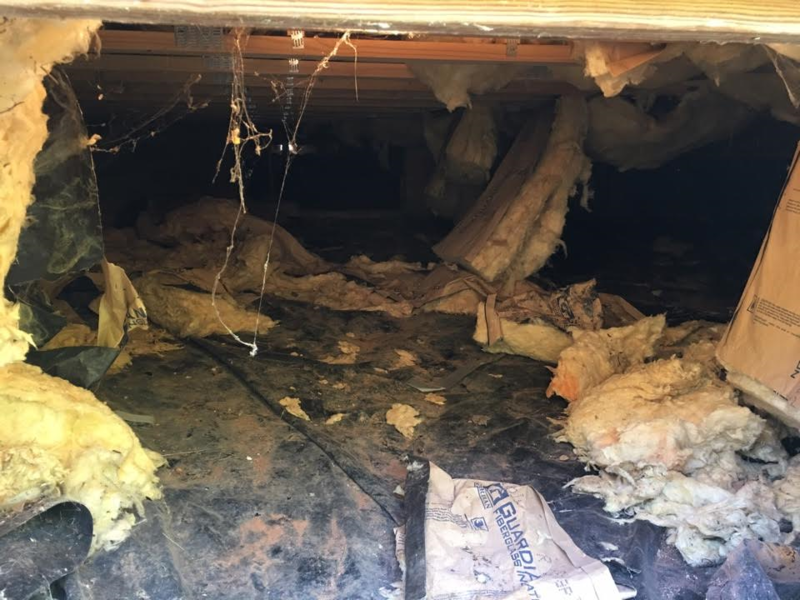 If your crawlspace is harvesting stagnate water, soil gases and toxic mold, everytime your air condition unit comes on you breath in this toxic air. This toxic air can cause so many problems and health risks for you and your family. You can feel tired. You can become very sick or ill by these allergens you breath in. Even if your furnace isn’t located in the crawlspace as most homes are. This does not eliminate you from serious problems. Water is moisture which harvests mold. 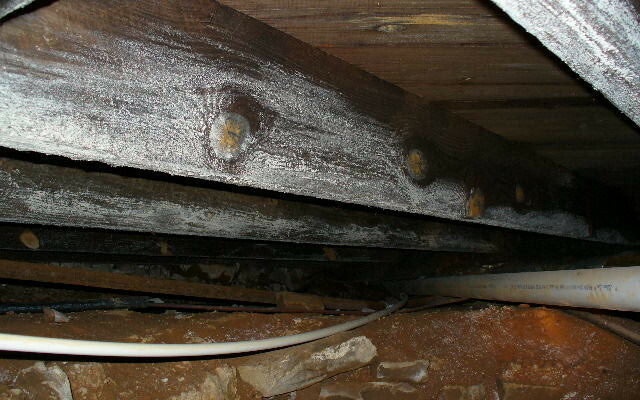 Mold can spawn on floor joists, dirt and areas of the crawlspace not touching soil or water. Stagnant water is absorbed by the air increasing humidity. Humidity is absorbed by the exposed wood in your homes structure creating the ideal breading grounds for mold. 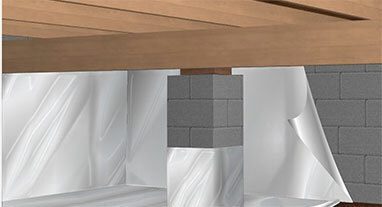 Mold will spore and spread through the air and on floor joists in the crawlspace. It will not stop unless it is treated. It will spread into walls and eventually into your living space. This is why it is very important to eliminate such problems before your home is at greater risk. A wet crawlspace can also rot wood casing saggy floors and foundation settlement. 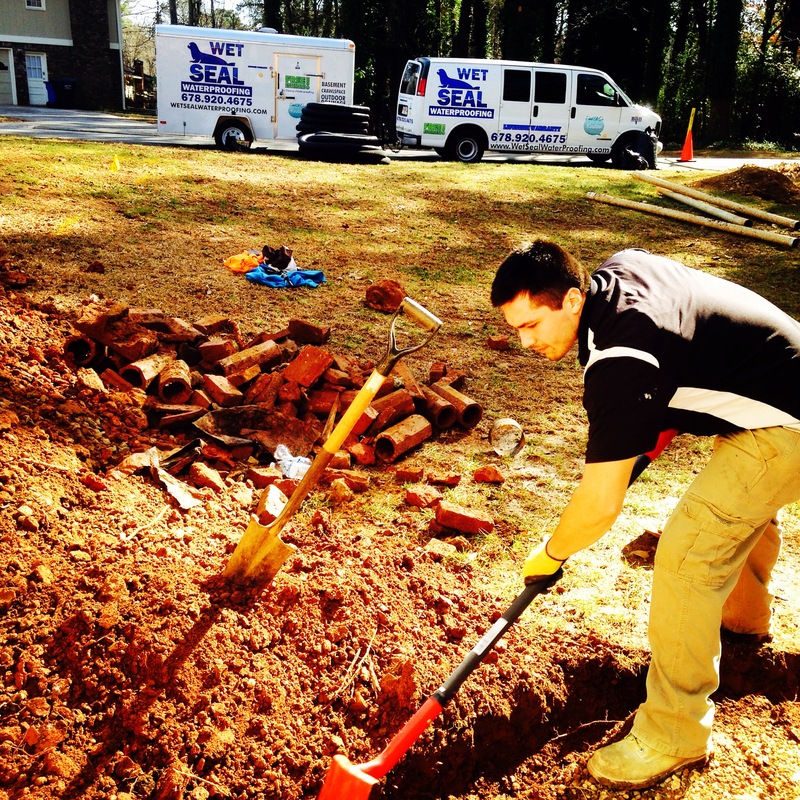 Cold air in the winter time can dry and crack soil and foundations. Most foundations are damaged in the wintertime and when it rains in the summer, is let in through the damaged areas. 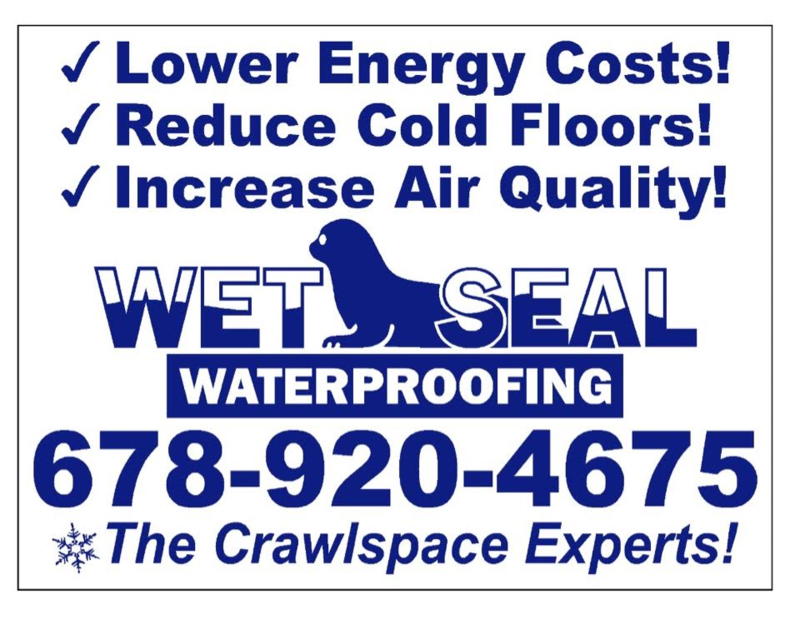 Sealing your crawlspace this winter will stop cold drafts and save you big money on energy costs. Wet Seal offers you a free no obligation home inspection. 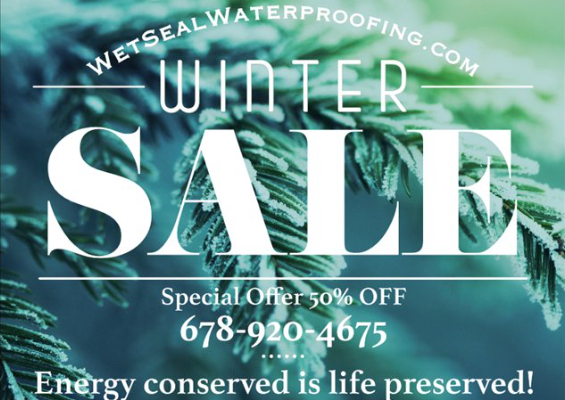 Take advantage of our Encapsulation offer this winter and save big bucks other companies try and fork out. 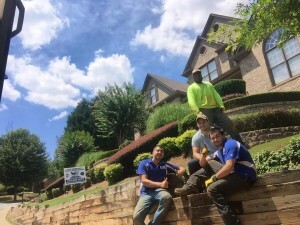 We advise you get multiple estimates when it comes to hiring a contractor. This way you can see the difference in price and savings our company has to offer. We provide customers with an honest price and inspection from the beginning. Giving you the best rate and option that’s suitable for you and your needs is what Wet Seal is all about. Let us help you keep your family safe and healthy this winter. Call the experts Today! Servicing all of Atlanta and it surrounding areas! Some preventative tips that could keep your home dry this summer. How can I protect my Georgia home before water seepage becomes an issue? 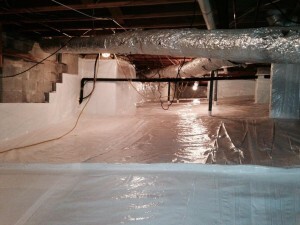 The first step to keeping a dry basement is doing some preventative maintenance. First checking downspouts and making sure that any roof water run off is directed away from your homes foundation. 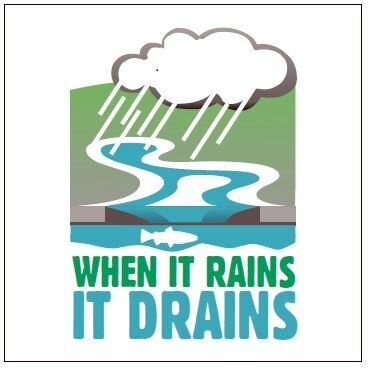 Channel drains and catch basins are also a good tool for redirecting surface water, to areas of your landscape and relocating storm water. It is absolutely necessary to take precaution when it comes to surface water run off. If your home already has downspout extensions, be sure they are water tested and checked regularly to prevent clogging or back ups. This also goes for catch basins and channel drains. Removing the tops and scoping out any trash and debris caught in the basin will also insure a long lasting system. Most catch basins come equipped with a one or two inch drop that is made to catch unwanted debris. It is the homeowners reasonability to keep these basins clean before clutter in the basin rise higher than underground pipe levels. If trash such as lawn clippings, leaves, mud, silt and other foreign objects collect in the pipe, this could easily cause a clogged pipe. Next making sure that grade levels outside are lower than foundation walls inside. Most foundation walls are made of cement blocking known as cinder blocks or a solid poured wall foundation. If grade levels are higher than the wall, surface water can run right over the top of the wall and into lower levels of your homes basement or crawlspace. Some foundation walls are studded. These walls are usually placed at ground levels where the grade is right at walk in platforms. Studded walls are placed on top of basement slabs or ground level slabs. In these areas grades need to be sloped or pitched away from slab levels for the surface water to drain properly. Most homes have a concrete wall where soil is buried then a studded wall where the surface drops lower. 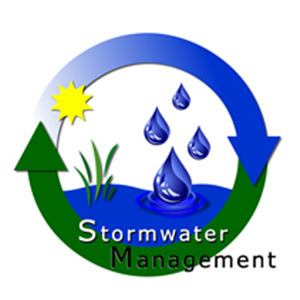 Over time ground water will move soil down to lower levels of your homes structure. This will cause water tables to rise based on higher levels of soil. In these cases small retaining walls are a great way to hold soil levels in place and keeping surface water at its required level. 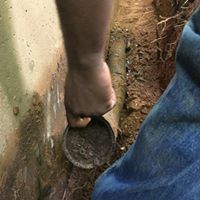 Swells, Interceptor drains, French drains or Curtain drains are also all great ways as well for rechanneling surface water outside, and away from your Georgia homes foundation. Keeping irrigation and lawn scape sprinkler heads away from your homes structure is also another great tip. Constant wetness of the soil can lead into unwanted saturation around any structure. If you have done all these steps and still have water penetration, then it is most likely not caused from surface water. This would be considered ground water penetration caused from hydrostatic pressure. In these cases you have done all you can do as a homeowner and an interior or exterior waterproofing system needs to be installed around your homes foundation. 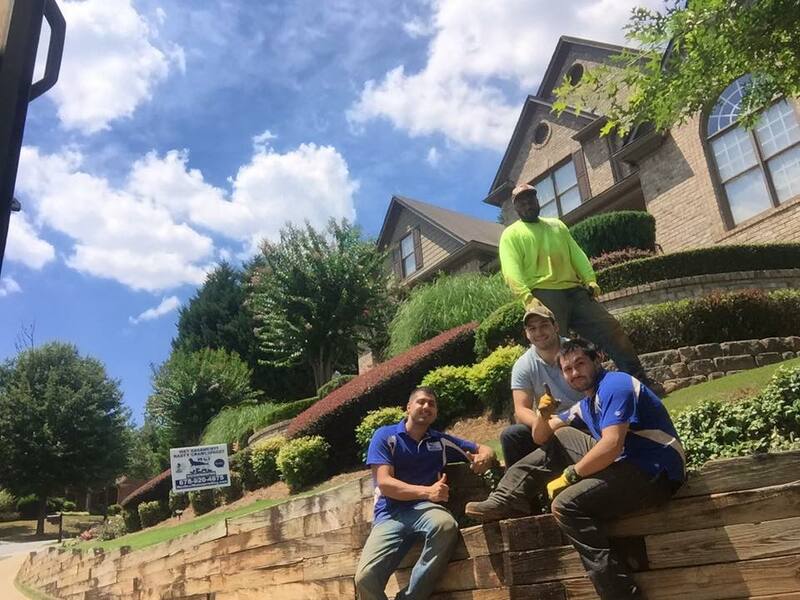 Exterior maintenance are great ways to keep water away from lower levels of your Georgia home but are just preventatives. For more serious cases an expert waterproofer will need to address more technical or challenging issues. A goal with out a plan is a wish. Here at Wet Seal we practice the six P’s. Proper planning prevents piss poor performances. Wet Seal Waterproofing only hires the best. 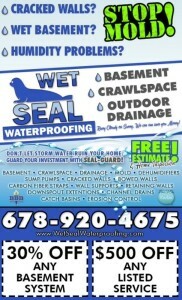 Why Hire a Pro Basement Waterproofing Service?